I really like my PlayStation 3, but it is an older model and I cannot help but think it is a ticking time bomb just waiting to die on me. Apparently QA on hardware was something the big three did not deem important this generation. Regardless, like two Tuesdays ago when I listed my favorite Xbox 360 exclusives, today I am filing through my library of PS3 games and listing the best out of those. With a greater diversity of exclusives than the 360, this list will show why Sony's black box is the ultimate in HD gaming. I have mentioned the ModNation Racers series multiple times in my various blog entries, and now it has shown up again. The big draw behind ModNation is the ability to design your own racers, karts, and tracks with the easy-to-use creation mechanics. Then the fun is sharing them online with either friends or total strangers. The choice is yours. If you lack a creative bone in your body there is always the opportunity to gain inspiration from the campaign mode where you vie for first place and even perform unique challenges as you race. 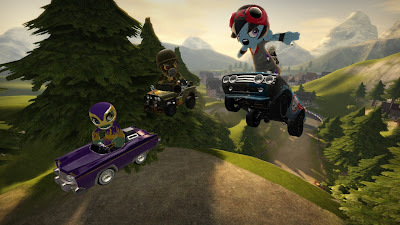 The only drawback to ModNation Racers comes from the huge load times. Perhaps the power of the cell isn't even enough to hold the beast that is ModNation. Kratos may be the most unlikable character I have ever played as, but his third epic adventure to seek revenge on the Gods of Olympus including Zeus himself. On his quest he will journey through both heaven and hell in his search for unbridled vengeance. There is nothing like scaling the back of a behemoth-sized titan and gouging its eyes out with Kratos' dual-wielding chains of pain. God of War III possesses glorious to view vistas, incredible depth and detail, and amazing graphical effects that really push the PlayStation 3's cell processor to its limits. Rumor has it that a fourth installment in this popular franchise is set to be unveiled some time very soon. Seeing as how the story of Kratos pretty much concluded, will we see a new protagonist? 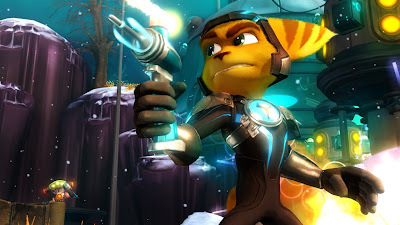 Ratchet & Clank is one of many Sony IPs that I adore. Ratchet & Clank Future: A Crack in Time escalates things to new heights with Ratchet and Clank being separated after the events of Tools of Destruction. Ratchet has a plethora of high-powered weaponry to take down the sinister Dr. Nefarious' goons with which the lovely lombax can level up with continued use, a staple of the series. Meanwhile, Clank can alter time, slowing it down, solving crafty and clever puzzles as he searches for a way to find and reunite with his friend. The range of colorful and vibrant levels in A Crack in Time is only matched by some of the best Ratchet games like Going Commando and Up Your Arsenal. 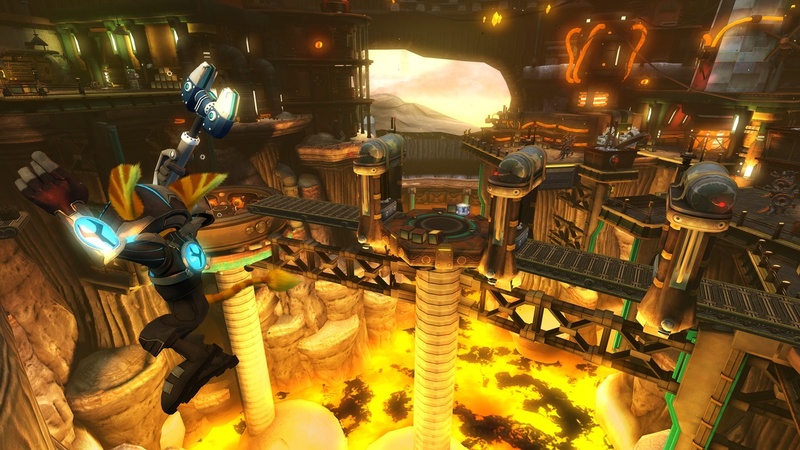 For those looking for a platformer on a console with few to mention, Ratchet & Clank Future: A Crack in Time is a perfect game to plop down and play. Nathan Drake's first adventure was quite good, but it was missing some elements to make it a classic. 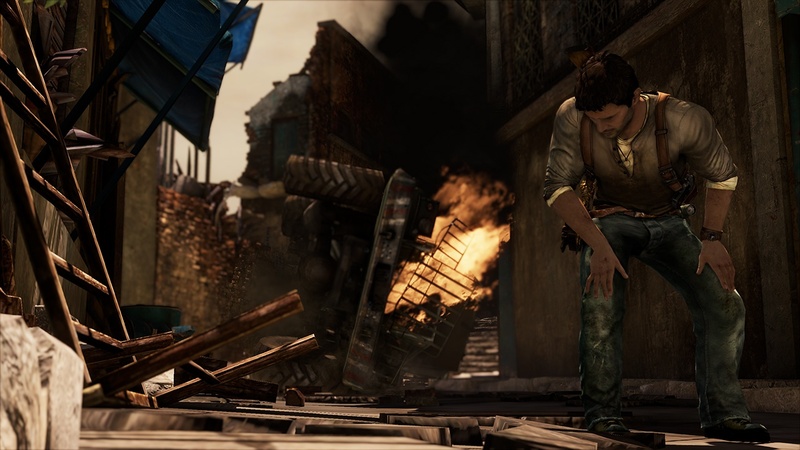 Not so with his second outing in Uncharted 2: Among Thieves. Faced up against a rogue mercenary with a rebel army of hundreds, Nathan follows the trail of his "ancestor" Sir Francis Drake in search of the mysterious Shambhala, a secret city hidden away for centuries. Our smarmy hero will venture from war-torn cities to icy mountains in his journey. 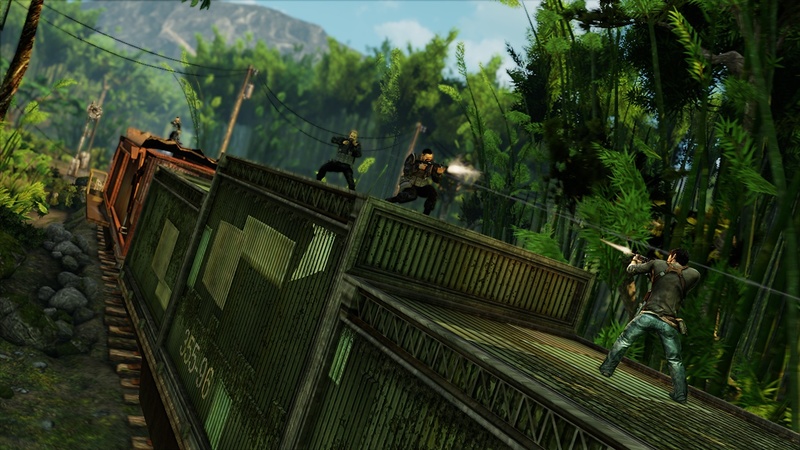 The intense gun fights of the first game are present and accounted for and offer tons of strategy just to survive. The ledge-grabbing, chasm-jumping platforming has also returned. What makes Among Thieves a classic is the perfect blend of action and adventure elements as well as the excellent pacing and set pieces. Uncharted 2 is definitely the best of the trilogy, and sitting down with a copy and playing will show that Naughty Dog did not just get lucky with Crash Bandicoot or Jak and Daxter. The first LittleBigPlanet introduced the world to Sackboy, a character made of felt and yarn that you could customize with various costumes and articles of clothing. 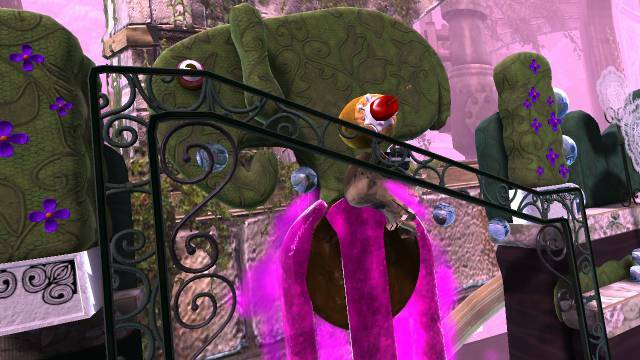 LittleBigPlanet 2 raised the stakes with more creative level design, more options for players to craft their own levels, and shed the platformer-only gameplay of the original. Now you can create shooters, arcade-style mini-games and much more. The wonderful story levels made by Media Molecule are worth the price of admission alone, but the ability to make your own masterpieces with the vast assortment of creation tools just elevate LittleBigPlanet 2 as a terrific platform for games. Sharing levels with the large community, playing with three other happy gadders as you assist one another through areas, and collecting the plethora of prize bubbles are just a few of the activities that can be accomplished in this cute, charming title. It remains my favorite PS3 exclusive (it was also named runner-up for Game of the Year at the SPC Best of 2011 Awards last December). Sony has done an admirable job of pushing new franchises along with old favorites in their lineup of exclusives for the system. While the PS3 does not have any third-party games on the list like the 360 had (Metal Gear Solid 4 does not count as that is a C-rate movie with some game elements), the system has provided me with hundreds upon hundreds of hours of fun times. 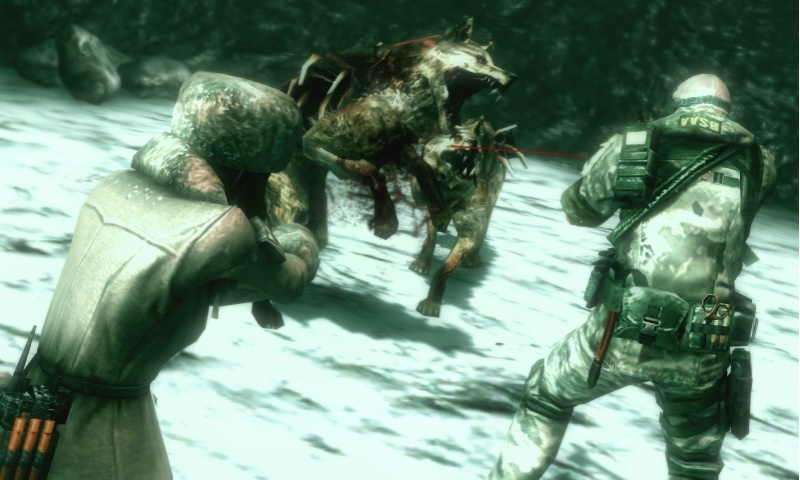 What five PlayStation 3 exclusives are your faves? Let me know in the comments section. 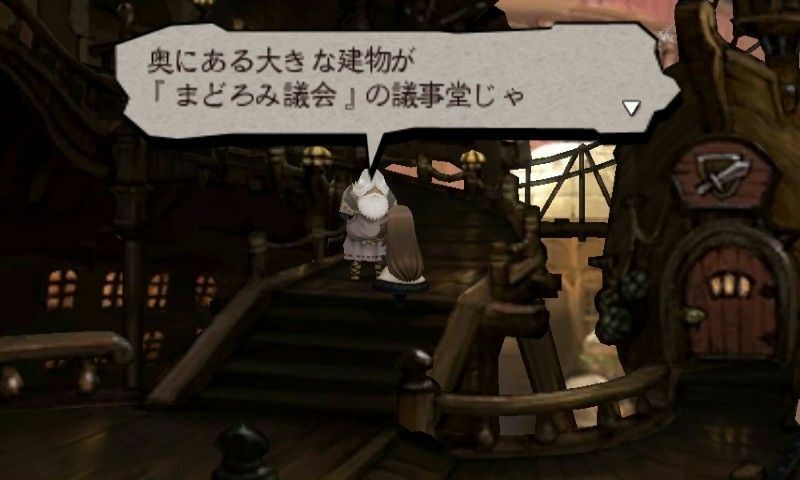 While some of these are a tad on the old side, gorgeous screens of Square Enix's 3DS exclusive entity Bravely Default: Flying Fairy have surfaced. The game sports beautiful backgrounds, cute characters, and the RPG action that the system is sorely lacking. Hopefully the game comes to the West, but Japan can keep the inane title. 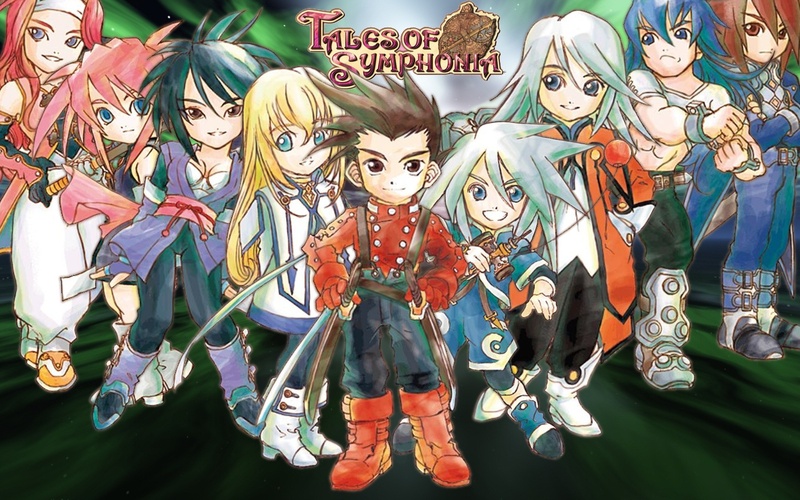 How could you not give this game GotM? February 27th was my 26th birthday. As a gift to myself I actually managed to tie the amount of reviews of January with nine new reviews! You cannot see this right now, but I am patting myself on the back. Anyway... we started with a retro review of Mario Party 7 for the GameCube. That title couldn't quite reignite my passion for the series and earned a 6.0 for its troubles. We took it outside with Super Street Fighter IV: 3D Edition on 3DS and it fought its way to an 8.5. 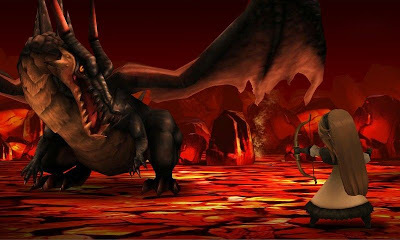 I then showed off an ooooold review of mine with Dragon Blade: Wrath of Fire. The fires were poor embers which gave the game a bad 4.0. 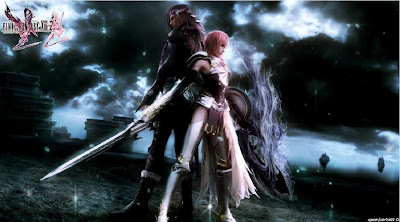 Square Enix then tried, tried again with Final Fantasy XIII-2 which netted a great 8.5. Sticking with the time travel theme, I scored Sonic CD an 8.0. The soul still burned with SoulCalibur V which received a respectable 7.0. 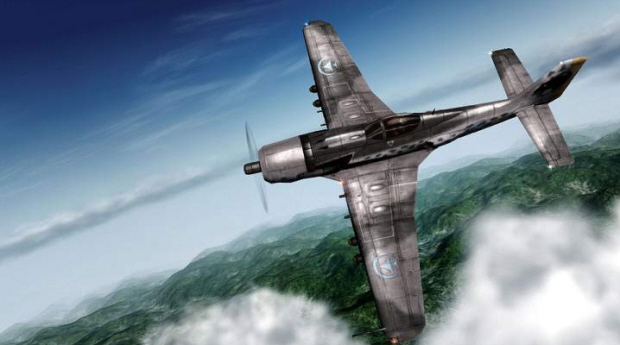 After that we took the skies with Ace Combat's first foray on the 3DS. It ranked high with an 8.0. Then the beat went on with Rhythm Heaven Fever on Wii which danced to a 6.5. 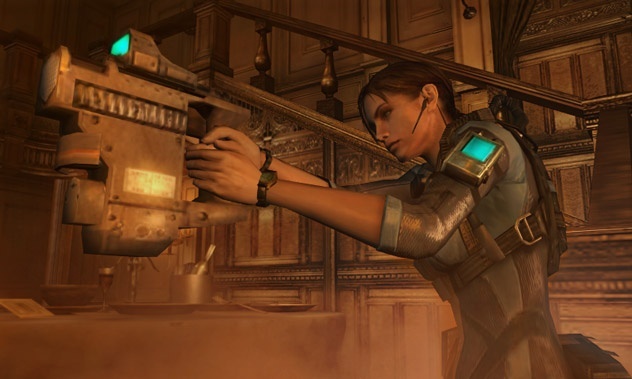 Finally, we ended strong with Resident Evil: Revelations (9.0), the game of the month. Overall, a traffic-heavy, quality month for SuperPhillip Central. To make fun of Jack Tretton of Sony, "we have hit our stride" and are making great "momentum." time travel, and bad fashion choices. Do you plan on purchasing a PlayStation Vita? I have one preordered already. Yes, I'll buy one at launch. No, and I have no interest at all. The "nos" have it, do they not? The majority of votes (over 1/3) have opted to opt out of Sony's second portable offering. You guys might be missing a lot, but then again, you might be smart like the "Yes, but not right away" people who are probably waiting for a price drop. Six of you have one or had pre-ordered while another six were going to buy one at launch. Did you manage to do so? I personally have no vested interest in the Vita as of now even if some games appeal to me. The price is too high, and I'm enjoying my 3DS just fine. I don't have time to devote to another handheld, and sales show the market is happy with their Nintendo systems and/or smartphones/iPads. What is the question for March's census? Something that is disturbing to me is the exclusion of backwards compatibility in consoles. The Wii got it right with 100% (or at least 99.9%) BC of GameCube games. The 360 has a paltry offering of Xbox games that can run on the system, and the PS3 inexplicably fully took away a feature from their console. Ridiculous. March's census asks how important backwards compatibility is for you when regarding the next gen consoles, especially with 360s breaking down, PS3s getting yellow lights of death, and Wiis having their disc readers stop functioning. Happy Leap Day, everyone. How did you spend your extra day of the year? Apparently I was mistaken when I thought I would not have the time to write the same amount of reviews as last month, but here we are with review #9 anyway. 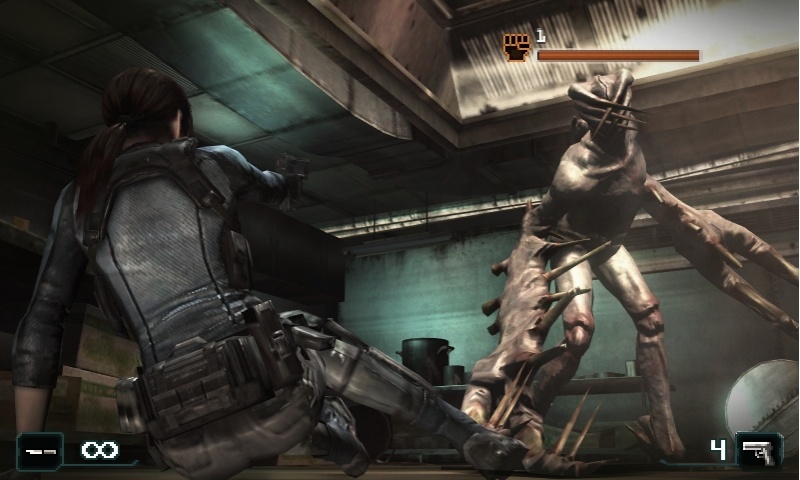 Resident Evil: Revelations is one of the 3DS system's biggest exclusives. Now knowing Capcom it won't be exclusive for long, but that notwithstanding, 3DS owners can still enjoy the game. Will you wet yourselves with delight as you play this survival-horror title? Player Beware, You're in for a Scare. Over the summer of 2011 the Nintendo 3DS was home to Resident Evil's first outing on the system in the form of Resident Evil: The Mercenaries 3D. 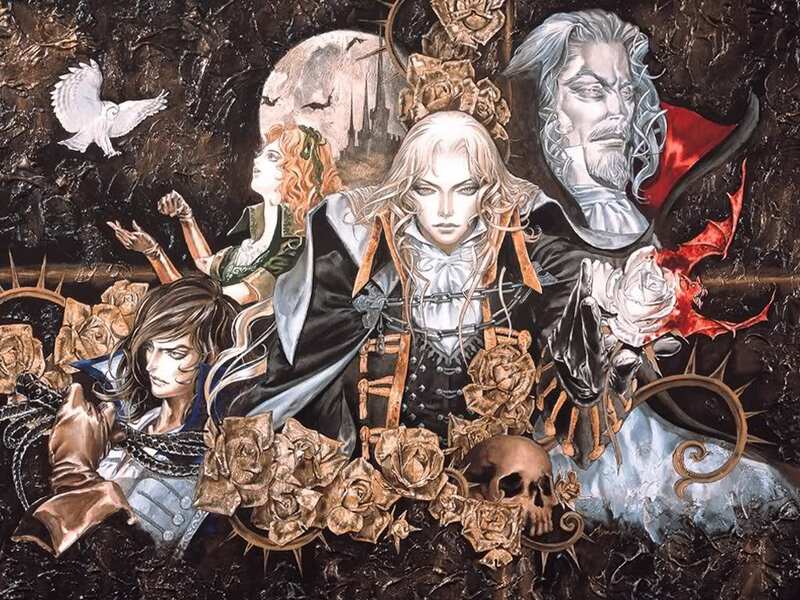 The game was an arcade-styled romp that pushed the system's hardware impressively in the early life of the platform. One could consider The Mercenaries 3D the appetizer when compared to Capcom's main course, Resident Evil: Revelations. 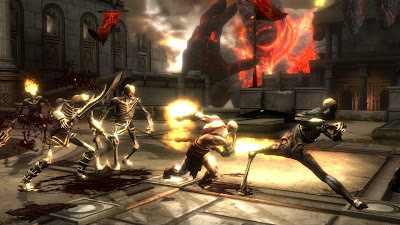 If you thought your mouth watered with Mercenaries, prepare yourself a bib and a bucket for your drool as Revelations is truly the third-party killer app that will scare your pants off. A luxury cruise liner has been set off course and is adrift in the middle of the Mediterranean, the Queen Zenobia. Raccoon City survivor Jill Valentine and her new partner Parker rappel onto the mysterious ship in search of Jill's missing and longtime partner Chris Redfield. However, little do the BSAA (Jill's, Chris', and Parker's association) know that something evil and sinister is afoot. Albino monstrosities ravage the ship, calling it their home, spawned by a new and more powerful virus, the T-Abyss. Not only must Jill and Parker discover the location of their departed comrade, but they must also make sure to stop a bio-terrorist from unleashing the into the world. 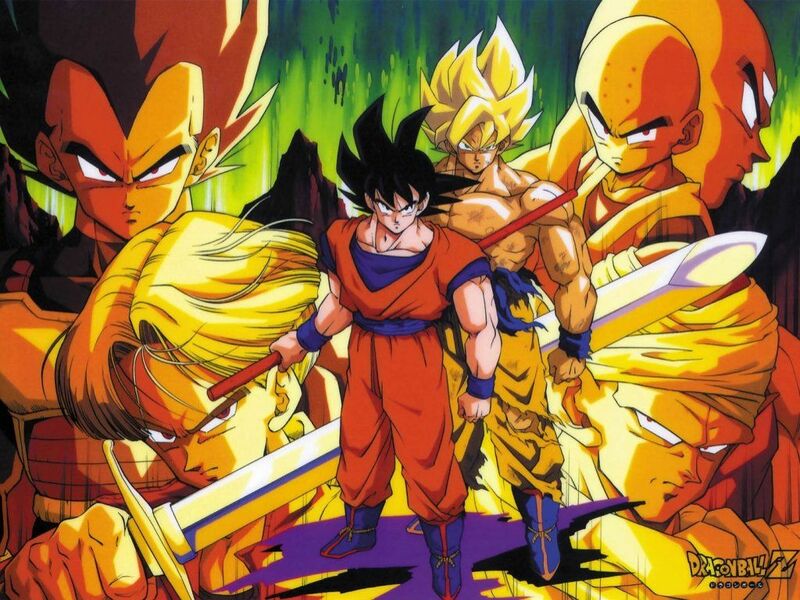 The game is divided up between twelve episodes or chapters that tell the tale. You are constantly shifting between groups of characters as the narrative escalates to intense proportions. You will want to keep playing just to find out what happens next, so I imagine this setup works wonderfully as I did just that. As you begin a new episode, a "Previously on Resident Evil: Revelations" video is displayed just in case you put down the game for an extended period of time and come back to it. A series of events from past episodes make up each video, and they are short, sweet, and to the point. One thing I do not like, however, is that there does not seem to be an option to pause cinematic scenes. Instead, if you press a button, you skip it entirely with no way to see it again unless you start a new data. This minor gripe aside, Capcom has weaved a masterful tale full of intrigue and mystique that will have you guessing and sweating it out from beginning to end. Even BSAA agents need to show some cleavage. 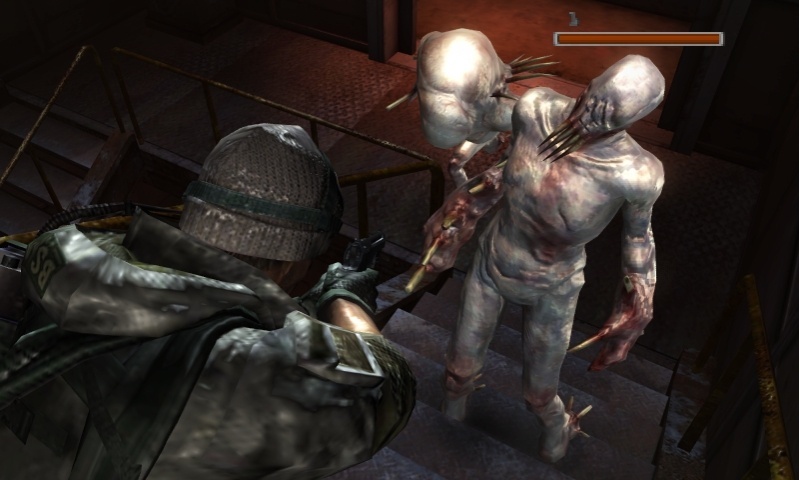 As mentioned, Resident Evil: Revelations follows an episodic format. 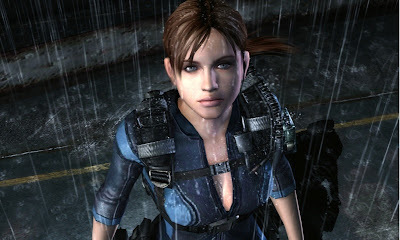 One part of an episode you'll be in the shoes of Jill Valentine as she investigates various parts of the Queen Zenobia while another part you will be placed in the role of Chris Redfield alongside his partner Jessica as they venture through an arctic mountainside in search of clues towards a bio-weapon outbreak. 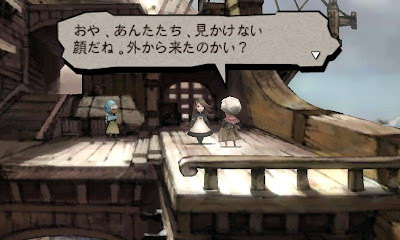 While typewriters and save rooms are a thing of past in Revelations, there are ample amounts of automatic save points as you progress in the game. After each episode you have the option of saving your data (no worries, too, as there is more than one save file to play with). The pacing of Revelations is almost perfect as the episodes involving Jill and Parker revolve around journeying around the Queen Zenobia, backtracking through the lower cabins, upper cabins, bridge, bilge, casino, and other parts of the ship. There are plenty of scares in these segments as you control Jill, moving through the darkness with only a flashlight, sauntering through the numerous rooms of the ship with Oozes (the main infected of the game) crawling out of every place they can fit into such as bathroom stalls, air vents, laundry machines, ceilings, and out from under dining room tables. You will collect keys that unlock new areas to enter and explore. The segments as Jill and Parker really fell like a tremendous return to form for the series. Meanwhile, the portions outside of the Queen Zenobia have a much more action-centric approach to them. There is much more linearity here where you are fending off against wave after wave of B.O.W.s, from infected wolves to Hunters. Revelations really strikes a nearly perfect balance between the survival-horror of the original PlayStation Resident Evil games and the action gameplay that the more recent Resident Evil titles have witnessed. outside the ship is where the real action begins. There are a plethora of scares to be had in Revelations, and I think they are better seen and heard rather than read. Fearing for your life as you have no choice but to shoot off the lock of a door that you know some huge crazed creature is behind (you HAVE to get his key to progress) is but one of the scary scenarios found in Revelations. Picking up a note in a pool of blood left by someone who clearly is turning into an infected only to be greeted by their mutated presence pushed up against the nearby window is yet another thrill to discover. Then there's the matter of chasing this character who wants you dead while hearing the beast yell "I've found you" repeatedly and "It hurts!" as it crawls out from air vents to attack. Revelations features some insanely twisted moments that will have your hands shaking (not good for the 3D effect, mind you) even if you know they're coming. If you are a fan of Resident Evil games, then you know that they are full of perplexing puzzles to solve. Revelations is really no different. You will be using the touch screen to undo screws and rewire circuits to open doors (this is the most common puzzle in the game; it occurs multiple times), putting your finger on the screen for the game to "scan" it to unlock the way forward, and performing other puzzling feats to show off your mental mettle. The touch screen is also used to switch primary and secondary weapons as well as access the map. The T-Abyss virus has transformed people into all sorts of ugly. Also like the older, less recent Resident Evils, you need to be watchful and mindful of your ammunition. Ammo can be scarce at times, and you can wind up in a whole heck of a lot of trouble if you're facing a flurry of foes with little ammo to work with. Connecting shots and being accurate is key. 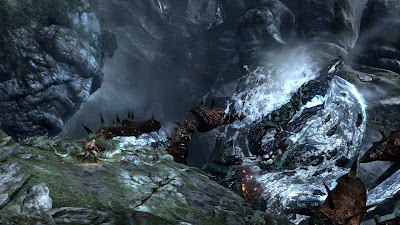 Though wasted shots can occur because some enemy death animations can make it seem like a baddie is still alive when in fact they have succumbed to your strength. You can carry up to five healing herbs which restore your health no matter how severe your damage (the screen surrounding your character will grow redder and redder as you take the brunt of more and more attacks). Meanwhile, you can also only hold three guns at a time (handguns, machine guns, shotguns, magnums, etc. ), and the ammo capacity of each gun can be increased through picking up special items or custom parts. Custom parts are hidden throughout the game and allow you to equip them to a slot of a weapon of your choosing. They can range from increasing firepower to increasing ammo capacity to enabling you to shoot twice with one pull of the trigger. You can exchange weapons and mix and match custom parts at various weapon boxes located at certain points of the ship. New to Resident Evil and something that would be a cool addition to future installments is the Genesis. This item gives you the ability to scan the environment for secret goodies such as ammo, herbs, and custom parts. 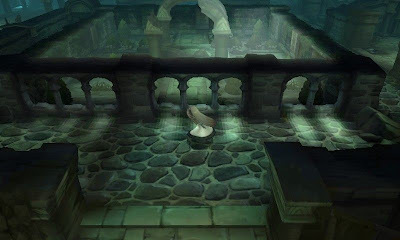 You are also able to scan enemies, too, and while nothing like Metroid Prime where you discover information on beating them, it is beneficial to do so regardless (more on that later). I found myself hooked on scanning every new room I came into for ammo and other things. It is almost necessary to have enough ammo on later difficulties (there are three in all). An invaluable tool, the Genesis has arrived! When I read that Resident Evil: Revelations was coming to the 3DS, I was concerned as to how the game would control having one stick and all. Thankfully there are multiple control setups to work with (three in all) as well as the option of switching to the Circle Pad Pro peripheral (available at GameStop and directly from Nintendo's online shop). Without the device I was able to play through the game quite easily with little trouble. The only part that bewildered my fingers was an on-rails section in the latter half of the game where the action was much faster than normal. I utilized Control Type C which uses the face buttons for camera control and aiming. You can choose like me to invert either the X or Y axes for better control as well, or opt to go into first person or stay in third person when aiming. The only problem I had with the game control-wise was with dodging. You need to thrust the Circle Pad forward when an enemy attacks to successfully evade it. The timing is so strict that this can be more challenging than it sounds. The final boss almost demands you be a pro at this. so scanning them is a smart idea. 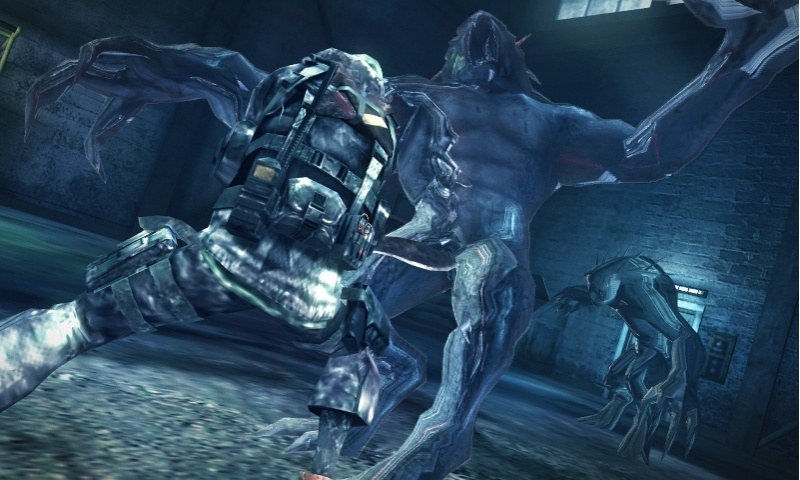 The entire campaign of Resident Evil: Revelations will last anywhere between 9-12 hours your first go around. But by then you haven't even played half of the game. 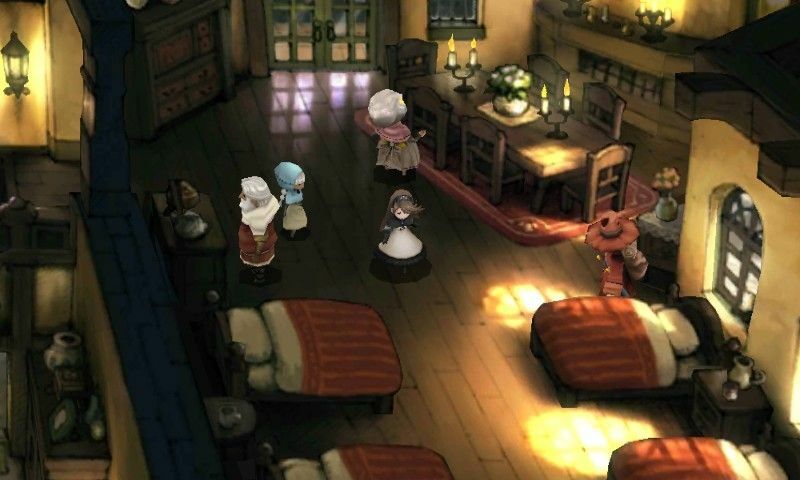 As you progress through the story, you will unlock Raid Mode and its multiple stages. 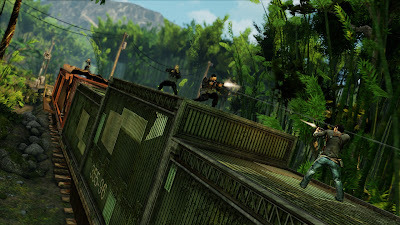 Raid Mode is an offshoot of Mercenaries Mode. You can play solo, locally with a friend, or hop online with anyone to complete the various goals the game sets up. 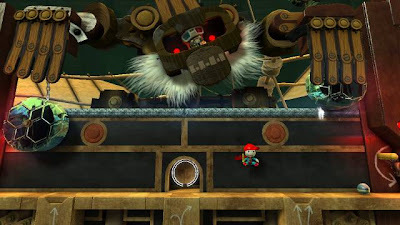 Each of the 20+ stages with three difficulties is inspired by the solo game. You enter the same environments to accomplish pretty much the same objectives. Enemies have health gauges as well as levels a la RPGs. 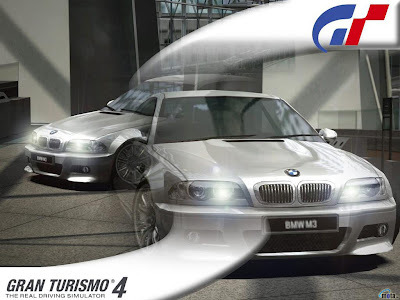 As you complete stages, you, too, gain experience and BP which can be used to buy new weapons. The fun of Raid Mode is that for every stage you finish, you automatically win a random weapon. Each weapon has different stats. One might hold more ammo while the same gun might hold less ammo but have a better firepower. There is nothing like getting an S rank on a mission and randomly receiving a rare weapon for your work. 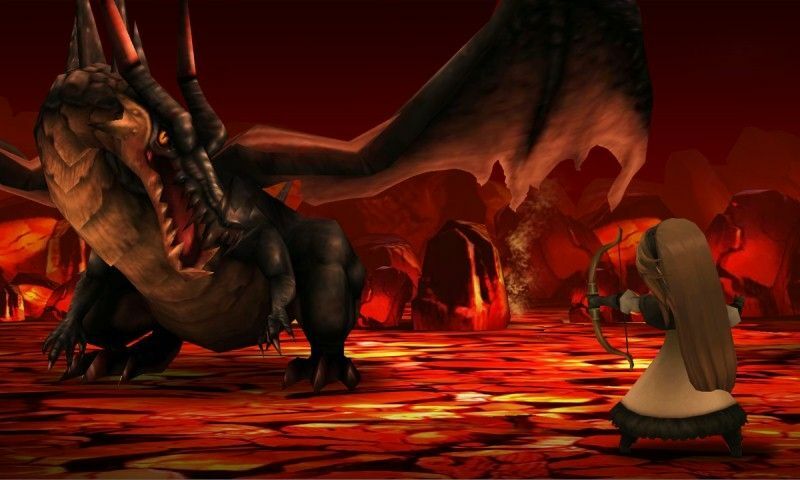 As you go through Raid Mode and gain levels, you can use higher leveled weapons and use new characters from the story like Jessica, Parker, and more. Then there are the Missions which are like achievements, but these actually give you something for completing them. Four shots left. Better make them count. Resident Evil: Revelations is without question the best looking 3DS game on the market yet. There is so much going on with the incredible lighting, sensational character models, great geometry, and breathtaking environments and particle effects. The only downside in the graphical department comes from the poor masking of load times. 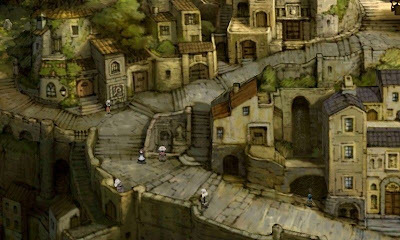 When you are on an elevator or moving from one major part of the ship to another, the game will chug slower than the Little Engine That Could on a very steep hill. The frame-rate plummets to the single digits. 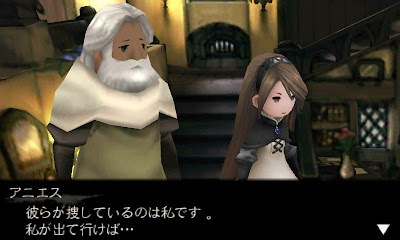 That said, these problems do not happen outside of these segments of the game. As for the sound, the music is marvelous with some magnificently poignant themes, some even performed by a choir. The voice acting is top shelf material as well except for a pair of goofs that come off as more of caricatures than actual people. You'll know who they are when you meet them. The thrills and chills of Resident Evil: Revelations are unlike anything I have ever witnessed on a handheld. The game feels like a console title on a portable system, and that is no easy feat. 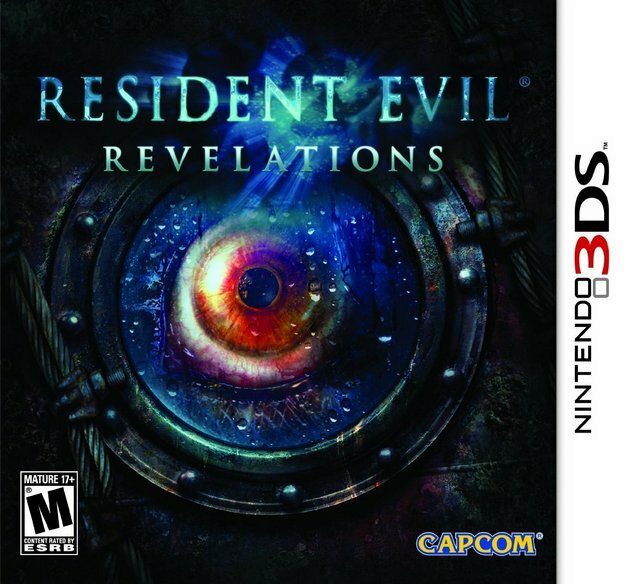 Some control issues and bad hiding of loading times aside, Revelations is one of the best reasons to own a 3DS. The system started out slow at the gate, but it is steadily gaining one hell of a library with no signs of stopping. Capcom once again amazes and astounds with yet another awesome handheld effort. Forget the albino abominations of Revelations, the quality of this game is the thing that is scary. Scary good, that is. For optimum fright, turn off the lights, put on some headphones, and sit back and enjoy this tremendous title. Sometimes being verbose isn't really necessary. Sometimes a game doesn't have enough to it to be a wordy review. The next game I am reviewing is one of those, Rhythm Heaven Fever for Wii. Is the rhythm gonna get ya'? 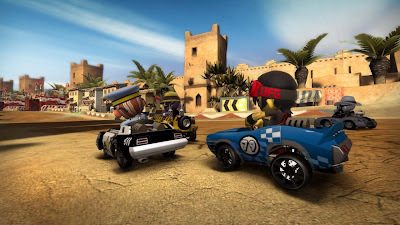 The mini-game compilation is not a genre that is foreign to the Nintendo Wii. 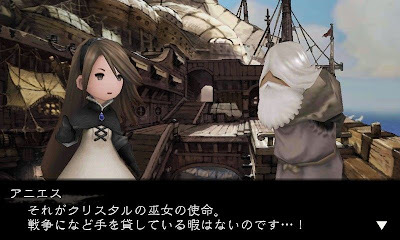 In fact, the Wii is a cesspool for both good and bad mini-game compendiums. The Rhythm Heaven series has seen two games prior to this Wii release: one that appeared on the Game Boy Advance that never made it out of Japan and the tap-happy DS Rhythm Heaven. 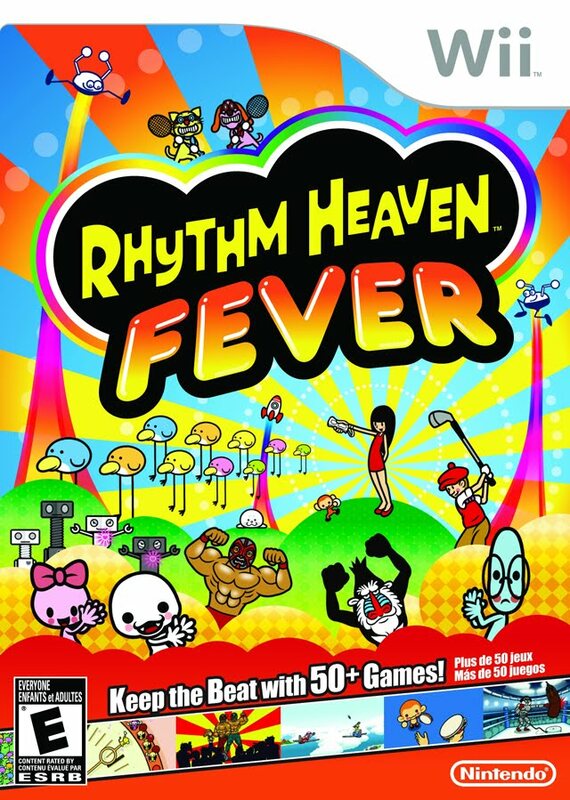 Now the series that marches to the beat of a different drummer has arrived on the Nintendo Wii with fifty new rhythm-based mini-games in Rhythm Heaven Fever. If you have a fever, is the proper prescription more Rhythm Heaven? Rhythm Heaven Fever is divided up between fifty challenging mini-games set across ten different rows. Of course, everyone has to start somewhere, and this is where Fever already gets tricky. You begin with one mini-game unlocked, and in order to unlock the next you must score at least an "OK" ranking on the game. This means that it is quite easy to get stuck and caught on a particularly difficult rhythm mini-game with no option to skip it and come back to it. No, you have to tough the game out until you pass it, and considering some of these games have less than a split-second to play along with the proper rhythm (and get prompted by audio and visual cues), you will oftentimes be frustrated. If there was the ability to skip a mini-game after you fail it multiple tries, Rhythm Heaven Fever would not be so aggravating. 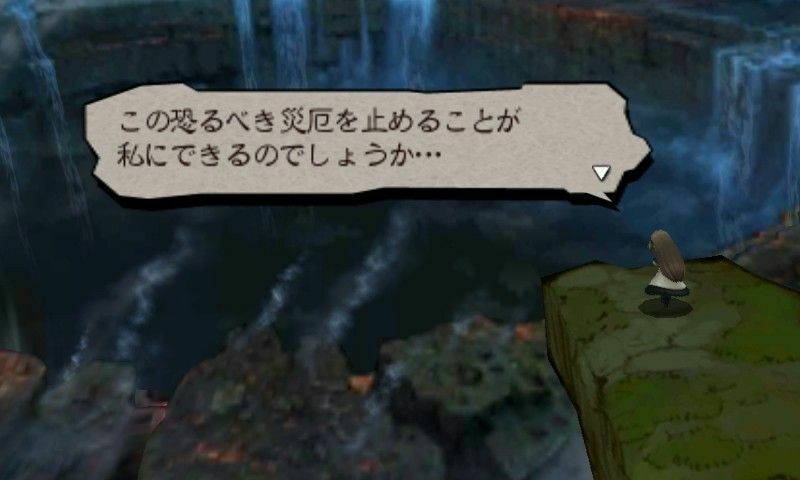 The game says to just sit down and have fun, but after the tenth time failing a game, the fun wears out its welcome and you just wish to proceed to the next mini-game. with a monkey and a mandrill as your caddy. Whether you are in a post-match interview with a Mexican wrestler, competing in a game of badminton sky high across two planes of varying distances, or teeing it up with a monkey and a mandrill, attempting to score as many holes-in-one as possible, there is no shortage of wacky scenarios introduced in Rhythm Heaven Fever. 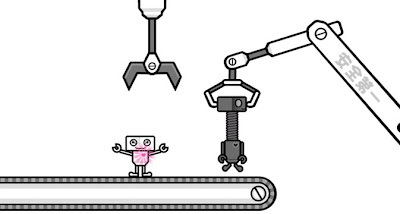 You will be assembling heads onto robots in an assembly line in time with the music, giving high-fives to monkeys as you pass them by on a watch, and kicking basketballs, soccer balls, and footballs as you participate in a double date with a pair of weasels. 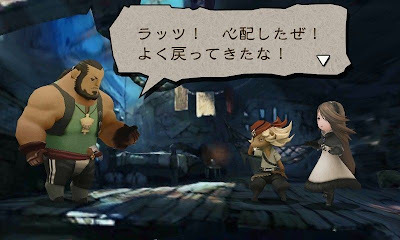 After four mini-games have been completed, a fifth one pops up in the row, a remix level. It takes the previous four games you played in that row and mixes them all together into one rhythm-based performance. 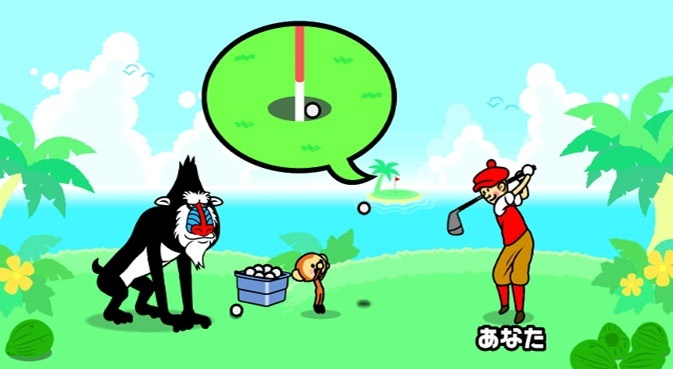 One moment you'll be screwing on heads of robots, and then the next you'll be swiftly whisked away to chipping balls into the cup with the help of your monkey and mandrill companions. The remix levels are essentially boss levels, and they are the utmost challenging aspect of Rhythm Heaven Fever. Screw too tightly and you will crack it. If you perform better than a typical OK ranking, you may earn a Superb ranking which nets you with one of fifty medals. Obtaining enough medals unlocks numerous rhythm-centric toys for you to play with as well as other goodies to "toy" around with. Completing every mini-game with at least a Superb ranking (don't get me started on trying to go for Perfects) will take quite a while to accomplish, so your thirty dollars you invested into the game will go very far. Rhythm is obviously the name of the game, and thankfully the developers forgone the temptation to have the mini-games be played with motion controls. Rhythm Heaven Fever demands precise inputs in order to pass the various mini-games. Motion controls just would not work. Instead you just have two buttons at most to press during each game, the A and B buttons on the Wii remote. One game that involves both buttons is a game featuring a monkey with a tambourine. Pressing A hits the tambourine on the front while pressing both A and B hits the tambourine on the back. You must play a game of Simon Says to match the monkey's musical movements in order to pass. Rhythm Heaven Fever is certainly a veritable feast for the eyes. The hand-drawn art style is chock full of pleasing colors, bold lines, and in-your-face effects. The music is insanely infectious and will infest your mind with its catchy melodies and beats. "Wubadubadubaduba, is that true?" Why, yes. It certainly is! Got some peas? 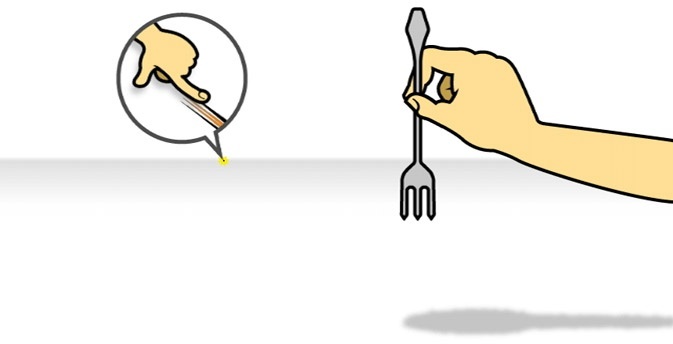 Fork 'em over. The problem with Rhythm Heaven Fever comes mainly from the fact that some mini-games are too challenging for the rhythmically impaired. 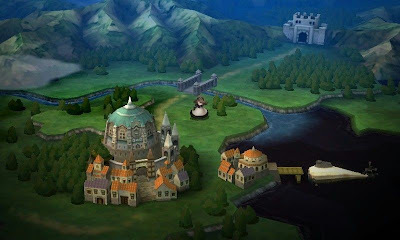 The game says even if you lack a sense of rhythm that you can enjoy this game, but unless you enjoy having to play the same mini-game over and over again until you complete it with a satisfactory ranking, then you will be stuck with no way to progress further into more entertaining mini-games. This game is definitely not for everyone, but at thirty dollars you could do a lot worse than Rhythm Heaven Fever. At least you won't have wasted too much money if you find out you dislike failing the same mini-game repeatedly. Like a brand-new present for my birthday, I have a new affiliate! It's Wii U Plaza which talks about all the news regarding Nintendo's upcoming tablet-controlled high-definition console as well as information having to do with the 3DS, DS, and current gen Wii. I wonder what will happen if the Wii U gets its rumored name change. I also wonder how easy it is to change the name of a website. Regardless, if you are in the mood to discover a new Nintendo-centric site, then Wii U Plaza is your target destination. Park it in the plaza here. Specifically for my birthday Nintendo of America released their North American commercial for Mario Party 9. Believe it or not, this board bonanza is one of my most anticipated games of the year, even hot off the disappointing predecessor. That said, Mario Party 9 offers 80 new mini-games, boss battles, seven new boards, a fresh formula, and all created by ND Cube (Wii Party). This ad shows a saccharine and sweet family (any more sweet and I'd get cavities) playing the game. Mario Party 9 comes out March 11th in North America. Expect a full review short thereafter.